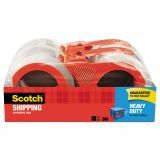 Scotch 3850 Heavy-Duty Packaging Tape, 1.88" x 54.6yds, 3" Core, Clear, 4/Pack - Premium performance packaging tape is the strongest clear-to-the-core" packaging tape for protecting your heaviest packages during mailing, moving, and shipping. 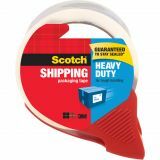 Instant adhesion provides immediate holding power, quickly securing package contents. 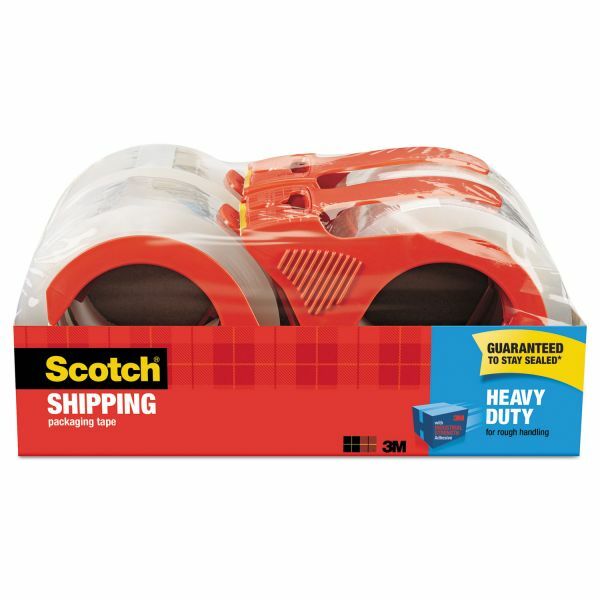 Tape resists breakage for hassle-free application and performance during the most demanding applications. Included dispenser is reusable.